The more Convenient & Smarter, the Safer for human! 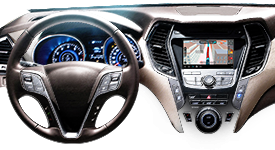 We have accumulated much experience and know-how for CAR INFOTAINMENT systems through OEM projects with various domestic and foreign automakers. We have also focused our capabilities to develop SMART CONNECTIVITY and ADAS technologies to be used in future vehicles. In all, we are providing TOTAL SOLUTIONS to our clients through 3D Navigations, AVN products, Driver Information Systems, ADAS, and HUD. 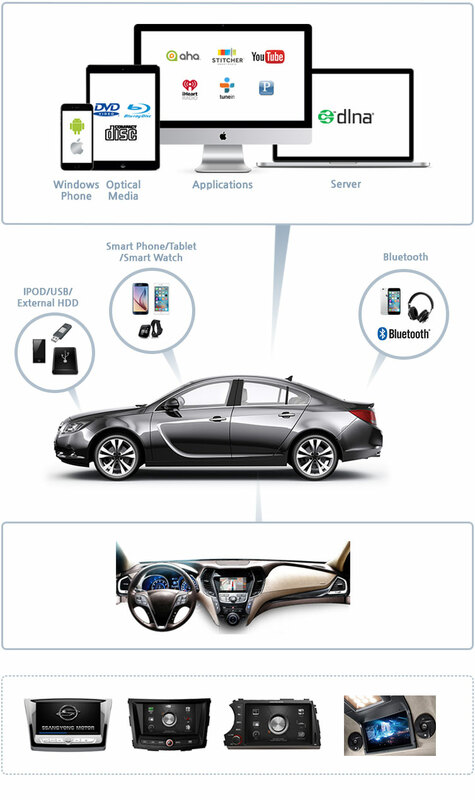 By exceeding previous systems that provide navigation, multimedia, DMB, radio and telematics services, we are developing IT convergence systems for next-generation vehicles based on the goal of providing total services that conveniently provides various information to passengers in real-time through network connections and convergence with internal networks, USB, Bluetooth, Wi-Fi, NFC, and V2X. 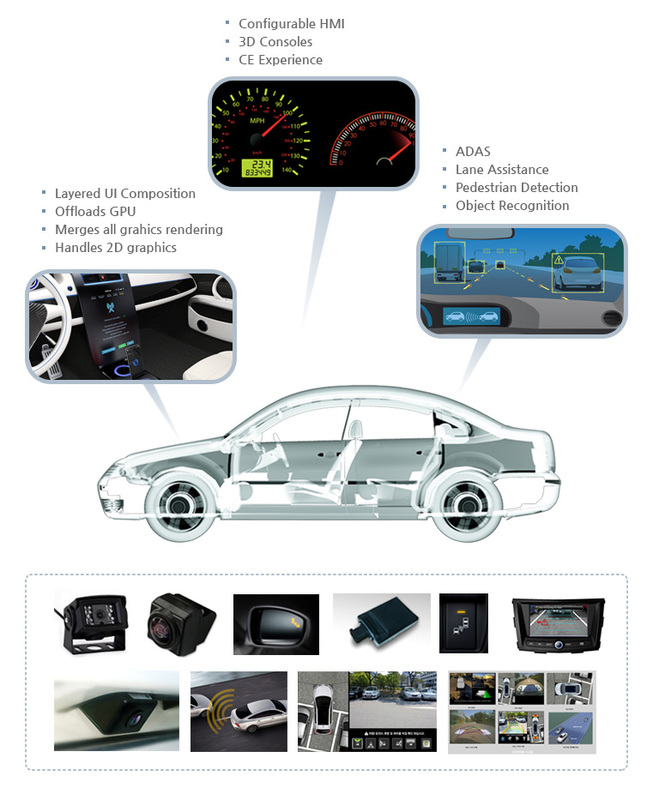 ADAS, which stands for Advanced Driver Assistance Systems, refer to systems that support driver safety through the use of human interfaces. Such systems provide AMS, LDWS, BSD, FCW, PDS, DSM, TSR, and HBA capabilities by using high-resolution cameras, RADAR, and LIDAR to maximize driver safety and convenience. DIGEN will not only acquire the world’s best technologies by making improvements to individual technologies, but rather develop differentiated technologies through integration and systemization. By using amorphous and full LCDs, displays can be used to show gauges, climate features, and the center fascia to provide an environment which resembles the use of several computers. Vehicle information and control features are provided through the integrated information systems while the HUD on the front glass provides speed, route guidance, road information and warnings. The large-sized cluster screen provides not only navigation features, but also information on neighboring regions, and internet information. 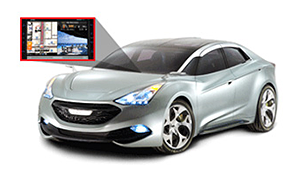 DIGEN has been developing display devices that serve various infomedia purposes.